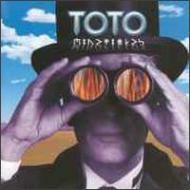 Mindfields is the 10th studio record by Toto. The album saw the return of original Toto singer Bobby Kimball, who had left the band once their breakthrough album Toto IV was released back in 1982. The record was nominated for a Grammy in the category Best Engineered Album, Non Classical.